The New York Mets are open to trading any of their top pitchers before the July 31 non-waiver deadline, but Zack Wheeler appears the most likely to be dealt, according to Jon Heyman of Fancred. 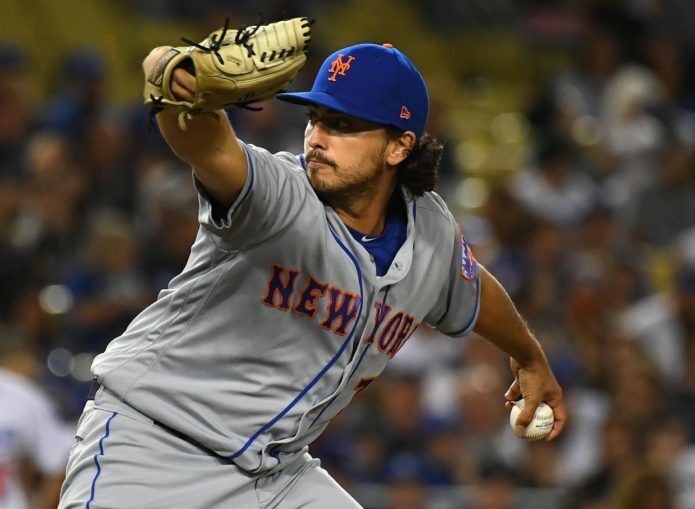 While the organization is having discussions on possible trades for aces Jacob deGrom and Noah Syndergaard, a trade during the offseason is more likely considering the Mets want major league talent in return, per Heyman. DeGrom would likely require an enormous return regardless of when he is dealt based on the fact that he currently leads the majors with a 1.68 ERA and has two years remaining on his contract after this season. Syndergaard has three more seasons under team control and has been nearly as effective as his teammate when on the mound (2.89 career ERA and 10.3 strikeouts per nine innings), but health has been a problem. He missed over a month this season with a finger injury and was placed on the disabled list again Sunday with hand, foot and mouth disease, per James Wagner of the New York Times. Still, a trade for either of these players would likely require a hefty return of multiple high-level prospects. Conversely, Wheeler can be a free agent after the 2019 season and hasn't been nearly as consistent as the other two pitchers. With that said, he can be an impact player down the stretch after producing a 4.44 ERA in 18 starts in 2018. This is why about six teams are interested in a potential deal, per Heyman. With the Mets currently 40-56 on the year, they could use any trade that helps the organization going forward.